Villaway the World’s Most Trusted Marketplace for Luxury Vacation Homes and Private Villa Rentals. Villaway offers exceptional Concierge Service in the best locations worldwide. 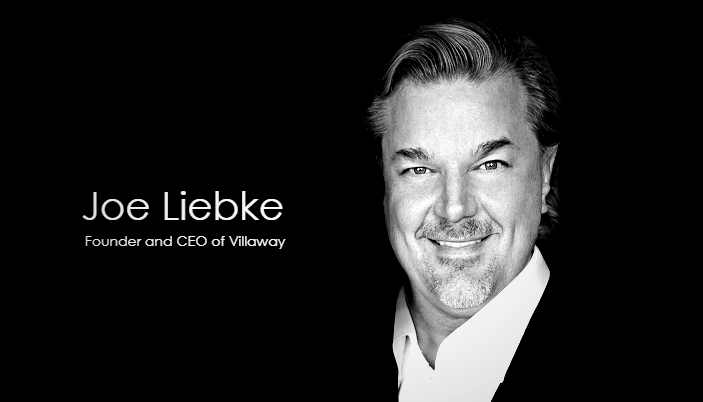 The CEO Joe Liebke will be telling us more about Villaway in this interview. Hi there, I’m Joe Liebke, founder and CEO of Villaway. I am a Southern California native, a world traveler, a luxury real estate aficionado and a serial entrepreneur. I am passionate about leveraging technology to connect people with amazing experiences. I have created a travel marketplace platform that allows me to help folks to create, share and enjoy their lives’ most special moments together. Villaway is the world’s premier luxury villa sharing site with over 6,000 curated amazing vacation villas around the globe in over 120 world class destinations. As a luxury rental platform, Villaway connects discerning travelers with highly desired and luxurious villas in the world’s most coveted locations. But Villaway is more than just finding a beautiful villa, we provide numerous customized and personalized concierge services for our guests. What specific luxury services do you provide at Villaway? All bookings with Villaway include complimentary and tailored concierge service by our five star expert-trained team who have an all encompassing knowledge of the local destination. Our world class staff is on call 24/7 and not only pay meticulous attention to detail but are acutely conscientious in anticipating our guests needs. Villaway staff consistently goes above and beyond the standard we set, creating unique and exciting ways for our guests to enjoy their stay and destination. Villaway staff exceeds expectations in meeting our guests desires; whether our guests are interested in tickets to an Oscar after-party or a reservation at an exclusive and completely booked restaurant. Perhaps a private wine cellar tour and tasting or yacht excursion and dance lessons from global stars. No matter the request, Villaway can make it happen. Villaway is the World’s Most Trusted Marketplace for Luxury Vacation Homes and Private Villa Rentals, what is your success story so far? Since the launch of Villaway in 2015, with over 6,000 luxury villas in 100 destinations to now, currently over 10,000 luxury villas in 120 desirable locations, it’s more than fair to say that Villaway is a success story. According to Radius Global Market Research, the vacation rental industry generated $85 billion in 2010 and is expected to exceed $100 billion in 2020. It’s a huge industry that keeps growing, and I see Villaway being the key player in this massive market. By recognizing what luxury travelers are looking for in a rental company; what a traveler searches, qualifies and eventually books and merging that with the best new technologies and media forms in the platform and by emphasizing a superb level of customer service that many vacation rental companies fail to provide, Villaway meets the need for an alluring and intuitive platform. We’ve created a ‘user friendly’ travel experience that connects vacation property managers with travel agents and potential guests. Because our business is web-based, there are low marginal costs for supply, which allows Villaway to take advantage of the massive worldwide travel network and referral system and we can add properties and minimal cost. But you could say, our true success of Villaway is our ability to adapt to fast-changing market conditions and is the perfect balance of technology, travel and real estate. What is the market size of the rentals/luxury travel industry and who are the Villaway customers? Global luxury travel is expected to generate $1.154 trillion by 2022 (Reference: report published by Allied Market Research) and is expected to grow at a compound annual growth rate of 6.4% during from now through 2022. Much of this growth can be attributed to the increasing disposable income of what we traditionally refer to as the ‘middle class’ but are seeing a trend of people who are looking to invest and spend their money on experiences and enrichment rather than material items. Previous years, travelers between the ages of 51 and 69 years (Baby Boomers) have dominated the luxury travel market. Baby Boomers travel for leisure, retirement, checking off items on their bucket list, second honeymoons or second marriages, their children’s marriages, but we are seeing a rise in middle and upper classes and with social media having such a huge impact in driving this demographic in market growth. And we are seeing Millennial’s becoming one of the fastest growing demographics for luxury travel; Millennials would rather pay money to have an experience rather than own a material possession. Regardless of the demographic, Villaway’s clientele have a true passion for travel and generally are high net worth individuals who desire and demand a different level of luxury, amenities and service than most 5-Star hotels can provide. Villaway was created with this specific clientele in mind. Clientele who appreciate the level of care we put into their stay and our exceptional services; our VIP client services, our 24/7 state of the art concierge and our meticulous attention to detail. Villaway is entirely client-focused and our clientele expect and appreciate our exceptional level of service. Could you tell us more about your luxury complimentary five star personalized concierge service, how does it work? At Villaway, we know travelers’ most important asset is their time. We create custom tailored experiences to meet travelers’ every desire and take away the stress in planning. Our commitment to our customers’ experience is our number one goal and we provide dedicated and personalized concierge by former Les Clef d’Ors representatives that includes Villa meet and greets upon arrival, airport pickups, private chefs and catering and a private masseuse. We accommodate guests’ every need at any time with our 24/7 customer service and destination expert assistance. Our concierge transforms a guests’ requests into reality, making the planning process as relaxing as the trip itself; from restaurant reservations to front-row seats, private chauffeured rides to yoga lessons and wine tours and access to local events and activities. Our list is vast, no request too big. No request unmet. Where are your top, trending and classic destinations and what should travelers expect? We have many unique and exclusive listings that are not available through any other service that you can find in our top destinations; Bali and Thailand, Carribean and Europe of course or the most requested destinations. But, Cabo San Lucas, Mexico is a classic destination that we find our guests will return to. And Hawaii as well. Though we have guests that travel with us regularly; a few times a year, a lot of our guests are visiting these beautiful locations for the first time and we want to make sure we help their dream destination live up to their hopes and expectations. No matter where our guests are traveling to or how often they use Villaway, whether it’s a 4 hour flight for 3 nights or a 15 hour flight for 2 weeks, our guests can expect to have an easy, elegant and luxurious experience. And with their personalized and dedicated concierge that is tailored specifically to their needs, won’t have to worry about anything other than making memories. Could you tell us more about your specialist team and customer support? When booking your luxury vacation with Villaway you will experience the next level of luxury service from your first contact with one of our professional team members. Our staff are experts at catering to A-listers, industry leaders, and connoisseurs of fine travel and we take the stress out of planning. One of our 5-Star personalized concierges will be with you every step of the way, help make your vacation a once-in-a-lifetime experience and plan every aspect of your dream getaway vacation. We are globally connected and our exclusive concierge is fully dedicated to our guests from the moment they call and book their luxury vacation to their arrival home. We take the guesswork out of our traveler’s vacation details, allowing our guests to relax, enjoy and have the time of their life. Our teams of specialists who are provided by former Les Clef d’Ors representatives are available 24/7 and provide expert destination assistance, which is always uniquely tailored to our guests needs. How safe is Villaway, would you like to talk about your insurance, legal, and security covers? We have curated the most amazing luxury vacation homes, villas and estates in the world; all of which are professionally managed, hand selected and inspected to ensure it meets Villaway’s above 5-Star standards (and above). Each and every private villa is rigorously vetted to ensure the highest quality and standards. There is no ‘gap’ in what you see and what you get. Villaway homes will not be showcased unless they pass these tests. Villaway is an umbrella platform for certified and vetted luxury property managers to host and showcase their finest inventory, from around the world. It allows users, whether agents earning a commission or direct consumers, to inquire and shop directly with our destination experts, who are local to the travelers’ destination, while conducting transactions through a safe, secure booking, processing, and payment platform. Since homeowners and renters insurance varies by policy, we highly recommend our property managers and homeowners check with their insurance agency before renting their space. Do you have any other pertinent information for our readers? When choosing how to book your luxury vacation, we know you have choices; and a lot of travelers are drawn to and rely on the consistency and familiarity of a 5-Star hotel and the amenities they provide; room service, bell service, concierge with one button on a phone, but what we’d like to tell your readers, is that Villaway and our luxury home rentals provides guests with the same thing but more. Namely having a personal a dedicated concierge available to them 24/7 and not one that is catering to dozens, if not hundreds of other guests. A villa vacation is an extraordinary experience, but also can be a substantial value and when a traveler is choosing their destination and where they’d like to stay, we’d like them to know that Villaway cares deeply for the concerns of our customers and we will not meet their expectations and demands with the highest quality of service, we will exceed them.